Automation Inside Readers’ Choice Awards 2016 - Winners have been announced! Since our beginnings, more than 35 years ago, we have been leaders in the domestic load cell market, which has enabled us to expand internationally and consolidate ourselves today as one of the five main manufacturers in the world. As a family-owned business, it’s in our nature to work and collaborate closely with our clients. The company headquarters are located in Barcelona, with local offices in several countries and an extensive worldwide distribution network that allows UTILCELL to supply its products to 4,000 clients. KEBA AG is a globally successful high-tech company that focuses on the automation of industry, banking and service processes, plus energy automation. The high-quality hardware and software components and system solutions are developed and produced in line with the company's guiding principle of "Automation by innovation". KEBA's industrial automation business area concentrates on the automated control of robots, injection molding machines, processes and automation solutions for mechanical engineering in general. Furthermore, the Austrian company is the market leader for mobile operating terminals in industrial applications. 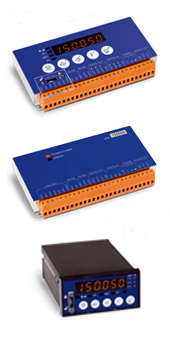 A wide range of series products are available for every possible application. In addition to this, experts develop client-specific, individual automation solutions quickly which are then implemented professionally in accordance with the respective requirements. The extensive product portfolio with its perfectly interacting hardware and software modules enables KEBA to offer customized and comprehensive solutions from a single source. This is why so many well-known and internationally successful mechanical engineering groups, robot manufacturers and service providers place their trust in KEBA products. Our speed demon eliminates your small to medium sized automation worries. You profit by saving space in the control cabinet, the high performance, and the extensive expansion options as well as by a cost saving of up to approx. 30% on the procurement side, compared with modular system solutions. Improved force transmission to the load cell due to a ball-based joint, giving the best accommodation in cases of thermal expansions, structural torsions and deflections. Utilcell (Spain) - UTILCELL (Spain) - The SWIFT is a Weighing Indicator and High-speed Transmitter, especially indicated for Process Weighing & Machinery, in both static and dynamic applications. 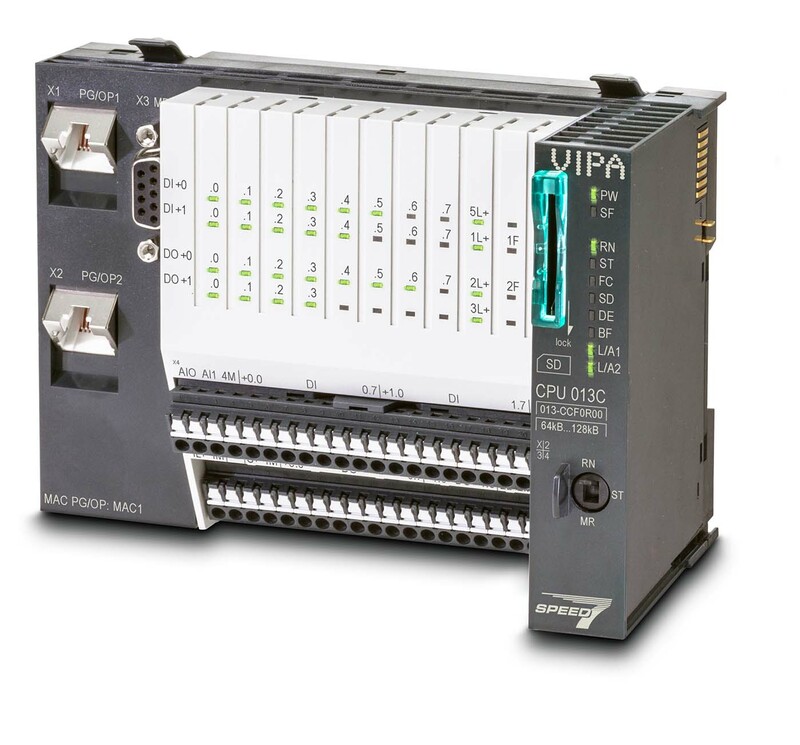 Due to its design as well as the various possibilities of data transmission, smart weighing functions, digital inputs and outputs, it is ideal for connection to PLC, PC and remote systems making easy the integration in automated systems. Vector Software, Inc. (USA) - The VectorCAST test automation platform provides unrivalled automated software testing tools that enable the implementation of a complete and automated test infrastructure across the software development lifecycle. While embedded software testing has typically been a laborious process, the VectorCAST solution supports C, C++ and Ada and uses Test-Driven Development, Continuous Integration and Change-Based Testing processes to engineer reliable software for accelerated time-to-market release cycles. In-depth analytics via heat maps and dynamic dashboards provide code quality and completeness metrics, enabling users to quickly check their code health in real time to reduce risk and prioritize valuable test resources. Customers who use the VectorCAST test automation platform see huge savings in terms of aftermarket services, reduced total cost of ownership, and improved schedules and overall development resources. The platform is used in numerous safety- and mission-critical industries, including aerospace/defense, automotive, medical, railway, industrial-controls and business critical. Technosoft SA (Switzerland) - The iPOS4808 is an intelligent drive with integrated motion controller offering 1kW of peak power in a compact and flexible design. Conceived as a plug-in solution for multi-axes systems requiring precise position control and EtherCAT interface, the iPOS4808 MY-CAT-STO drive offers Safe Torque Off functionality via dedicated HW implementation. This allows the user to reduce the system cost while increasing the safety level of his application. Due to it's innovative motor control architecture, the iPOS4808 represents a universal drive solution for any motor that fits it's power ratings - 48V, 8A/20A. Either brushed DC, brushless DC, stepper or linear motors can be controlled by the drive that supports as well a variety of feedback types ranging from incremental TTL or sin/cos encoders to absolute SSI or BiSS position sensors. One drive for any motor technology brings a big advantage in terms of reducing the stock items as well as the implementation time due to a unique user interface for all axes. Another advantage is represented by the plug-in capability of the product that offer a large flexibility in terms of integration into the user motherboard where the size, shape and connectors can be customized to respond exactly to the application requirements. 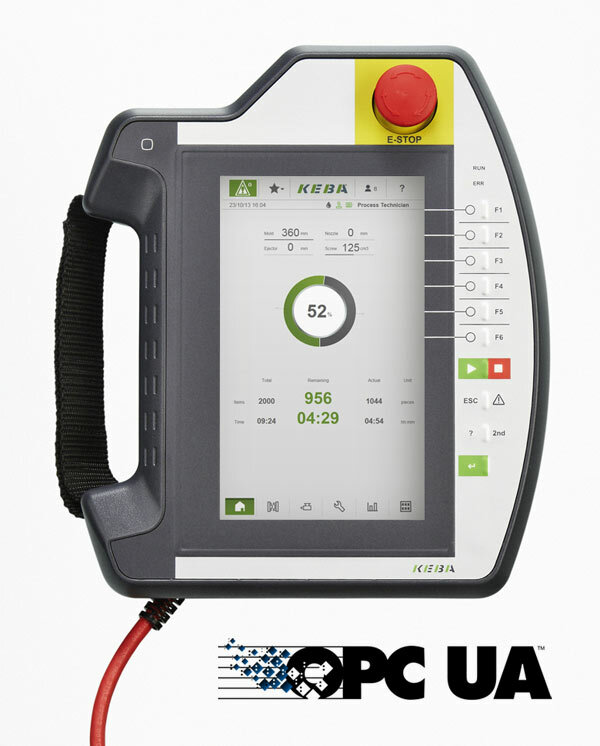 The iPOS4808 MY-CAT-STO is designed for high end applications (e.g. dual loop control) where it's advanced control architecture integrating up to 9 digital filters makes the difference in terms of motion control performance. HMS Industrial Networks (Sweden) - The Anybus Wireless Bolt is a wireless access point designed to be mounted on a machine or cabinet to give it wireless access via WLAN, Bluetooth or Bluetooth Low Energy. This access makes it possible to do configuration via a regular tablet or smartphone or connect to a cloud service, realizing Industrial IoT. The Anybus Wireless Bolt is mounted onto a machine or cabinet (just like a bolt) to give it a robust and IP67-classed wireless interface. It is typically used for configuration purposes. For example, the Bolt makes it possible to Bring Your Own Device (BYOD) such as a tablet or smartphone to a machine and use it as an HMI. Another typical use case is connecting a machine to a cloud service. The Wireless Bolt can communicate wirelessly up to 100 meters via WLAN, Bluetooth or Bluetooth Low Energy. On the wired side, the Anybus Wireless Bolt can communicate with devices on serial (RS232/485), CAN or Ethernet. Regardless of communication method, it has the same connector (2x9p Plug Connector) for both power and communication. 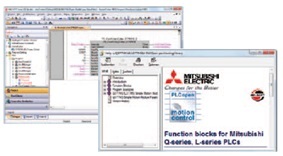 Mitsubishi Electric (Japan) - Mitsubishi Electric have developed a modular control system that uses predefined function blocks especially for packaging machines which can be used to set up control systems including HMIs quickly and easily. The program modules have been tested in practice and are certified in accordance with international standards such as PLC Open Motion and PackML. When used in conjunction with the integrated development tools from the iQ Platform, they ensure reduced time to market for packaging solutions. Having already proved itself many times in practice, the concept enables different packaging processes to be easily realized using Mitsubishi Electric's iQ Platform. Customized machine solutions can be implemented with ease by choosing from the wide range of integrated PLC, motion, HMI and servo systems on offer. 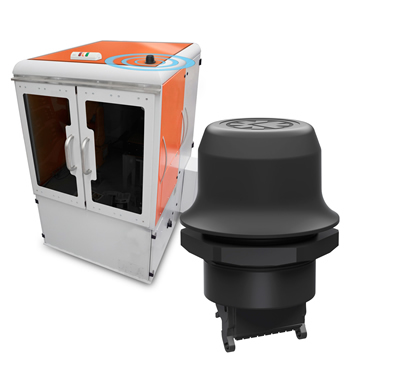 Besides the iQ Platform, the tubular bag machine includes a PLC, a motion controller, servomotors, and GOT2000 HMI from Mitsubishi Electric, for example. The iQ Platform comes with the iQ Works integrated development software package that enables different components to be parametrized very easily and quickly. It also comes with preconfigured program modules which can help to considerably reduce the development times for packaging systems. They are suitable for small machines up to complete production lines and are stored in a standard library. In addition, the function blocks ensure reduced maintenance costs during operation. In addition Mitsubishi Electric control systems have open interfaces for packaging applications such as the Weihenstephan protocol and PackML, for example. These enable different packaging machines and/or lines to communicate with each other very easily. They also support plug-and-play connections to higher-level MES and ERP systems. That means that production planning and quality assurance can be integrated in the control process, enabling productivity, reliability and cost control to be improved as a result while maintaining complete data consistency. Fischer Connectors (Switzerland) - Fischer Rugged Flash Drive memory stick has been specially designed for the safe transportation and storage of sensitive data in harsh environments. The USB 3.0 Fischer Rugged Flash Drive is even faster, smaller and more user-friendly than the USB 2.0 product introduced to the market in 2011. The read speed is now up to five times faster; standard memory sizes are 32, 64 or 128 GB; the body is shorter; and, in order to guarantee secure access, it is now available not only with the Fischer UltiMate Series interface, but also with the Fischer MiniMax Series interface. The activity LED is a further feature of the new product to improve usability. Miniature – the size of a key ring – and lightweight, the Fischer Rugged Flash Drive has proven to be the durable solution for people on the go who need to download and securely transfer confidential data, images or videos from devices used in extreme environmental conditions or in hard-to-reach areas. It is perfectly adapted for applications where data security and confidentiality are critical, such as the defense and security, financial, medical, industrial, energy, underwater, motor and extreme sport sectors, e.g. for civil or military UAVs, ROVs, test & measure equipment or rugged computers. 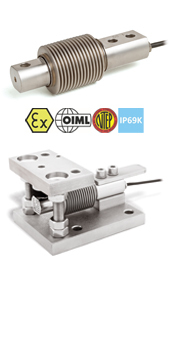 Fischer Connectors (Switzerland) - The MiniMax 06 connector is a ultra-miniature connector from the miniature high-density product range, the Fischer MiniMax™ Series. The MiniMax 06 connector can include up to 12 power and signal contacts in a footprint of only 10 mm. This corresponds to a density factor* of 0.83 – a unique technological feature for a connector with standard 0.5 mm contacts. 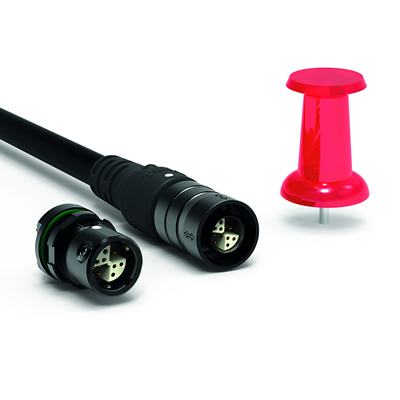 The new MiniMax 06 connector also includes a new unique configuration with 2 signal and 2 high-power 1.3 mm contacts for applications needing 10 Amps or more power, doubling the standard 5 Amps current rating of the existing MiniMax product line. MiniMax 06 is easy to use and ensures premium performance even in harsh environments. Also available as a pre-cabled solution, it is ideally suited for handheld or body-worn applications when space is limited, in such fields as defense & security, instrumentation, testing equipment, civil or military unmanned aerial vehicles (UAVs), among many others. 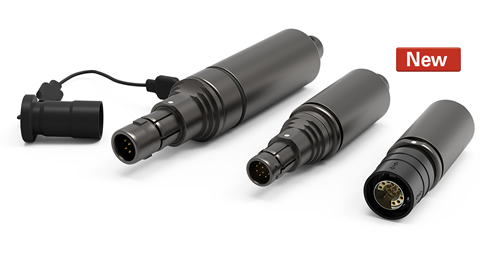 Increased power & miniaturization with continued durability: With this new smaller connector, Fischer Connectors continues to drive the evolution towards combined signal and power connectors as a way of making electronics lighter and smaller. MiniMax 06 integrates fully into the ultra-miniature high-performance Fischer MiniMax™ Series, well-known for its use in limited space and lightweight applications, and for meeting the combined needs of multiple signals and power. Tested for high-speed protocols such as HDMI and data transfer up to 10Gb/s, the series also addresses the growing market need for higher data transmission rates. The mobile terminal KeTop T70 with its high-resolution display and fast processors is perfectly suited for demanding visualization and operating applications. Its robust housing is ergonomically shaped and light, enabling long and exhaustion-free operation. Unique features such as a performance that grows with the application, as well as an additional, optional rear side keyboard make KeTop T70 a long-term and versatile hand-held control unit. The user-friendly operating interface of a modern visualization device must be quick and fluid. 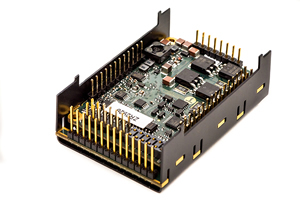 Thus, KeTop T70 can be equipped with a selection of extremely high-performance ARM processors. However, the computing power should not only be sufficient when the device is purchased, it should also be able to handle future tasks with increasing software requirements, something that generally requires better hardware. KeTop T70 therefore is built in modular design, which means that it is easy and quick to upgrade to newer processor technologies. Such an upgrade can be done without adaptations of the visualization solution and software; no interventions in the machine concept are required for this. 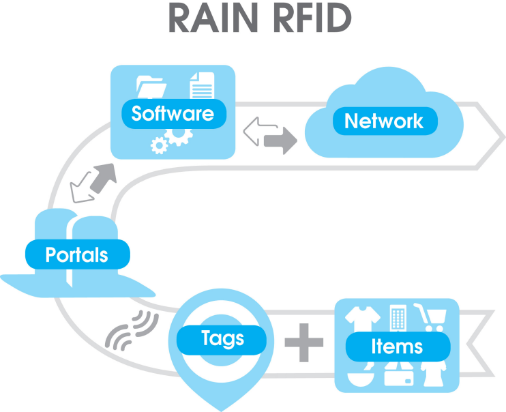 RAIN RFID system consists of all the components any system integrator or end user needs to deploy a consistent IoT solution: RFID fixed readers, RFID portals, RFID tags and labels, mobile RFID devices and any required accessory. RAIN RFID solution also includes a middleware and software platforms to integrate into existing business processes and software, thus making RFID to improve any existing process without big changes in the daily activities. Fiktech B.V. - Production Optimization (Netherlands) - In order to overcome production issues, Steinert Elektromagnetbau GmbH, Cologne Germany, has designed the ingenious XSS ® X-Ray sorting plant. Thanks to this manufacturing plant the quarried valuable Tungsten Concentrate of the Wolfram Camp mine may be separated from the gangue, which provides for up to 85% (!) of the production flow. The centre of the entire system is the section where by means of X-ray beams and highly sensitive cameras the desired material within the ore is detected. 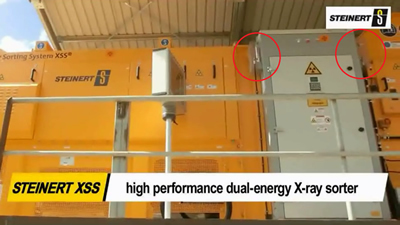 During the development of the plant Steinert GmbH called in the help of Fiktech B.V. to find a feasible solution to protect the X-Ray section against extreme Australian production conditions; large temperature differences and negative influences of dust and moisture. Fiktech engineered for this purpose a dedicated system based on the use of AFECO Vortex Cabinet Coolers in order to keep the housing of the X-Ray section at a slight overpressure, along with cooling the electronics and preventing condensation. The Wolfram Camp Mine now produces in an operationally reliable manner ore concentrates of very high quality without the use of water and with minimal production of waste. Omron Adept Technologies, Inc. (USA) - The Omron Cart Transporter is an mobile robot designed to attach to movable carts and transport them from a pickup location to a drop off location. Applications include line-side inventory replenishment, moving flow racks, transporting Work in Progress (WIP) between process steps, and moving finished goods to the warehouse. The Omron Cart Transporter leverages Natural Feature Navigation to autonomously find a path through the facility without the need for any facility modifications necessary. The Omron Cart Transporter is safe to operate in existing doors and aisle ways as it can sense and avoid people, fork trucks and other objects in its path.